Christmas can be one of the busiest times of the year. Even as Christians, the temptation is to run, run, run, and in the midst of this chaos, Christmas often seems to get lost. Take a moment to pause and remember the true gift given to us during this season and join us in worship this Sunday at we prepare for the mystery of Jesus. 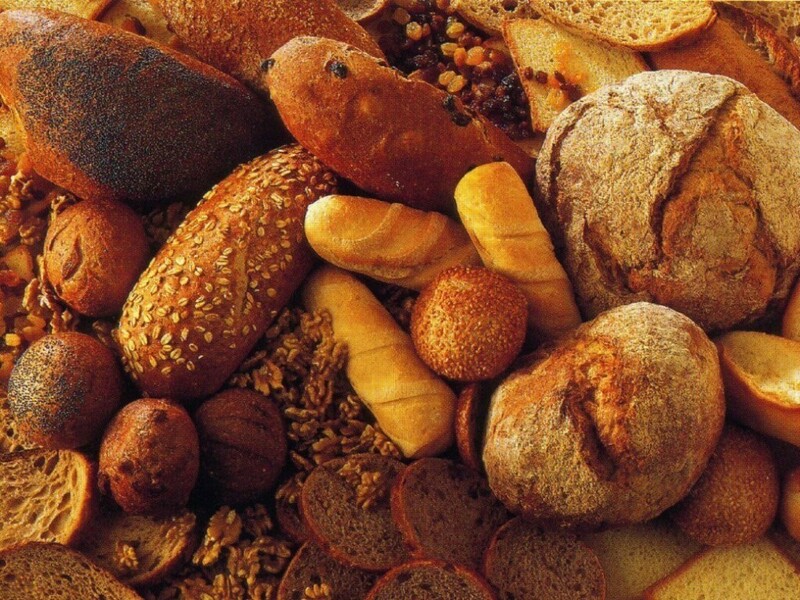 On this fourth Sunday of Advent, Pastor Clark's message will be Love: Bread. The 8:45 Service will be lead by our praise band. Click here for a song playlist. In the midst of a busy season, and so many obligations, let us pause and gather together and find peace and rejuvenation in worship! 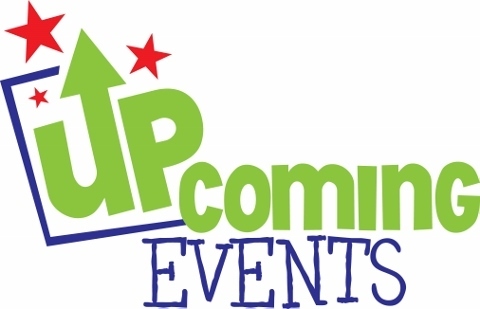 Sunday's Announcements: Read them here! Our Yuletide Bike Nights were a great success this year. We were able to place 43 bikes into the hands of children and adults, just in time for Christmas. There were lots of smiles and a few tears (of appreciation) from those who stopped in. We are so grateful for all the people that make this ministry possible: Jinho Lee and Wally Kudlaty for their tireless work on the bikes and on training new mechanics; Ruth Georgevich, for whipping up 40 bows that made our bike showroom look more like Santa’s workshop; Ann Rittman, Paul and Pat Frank, Kathy Sopka and George Smith for being awesome hosts that made our shoppers feel welcome and helped spread a little more holiday cheer. We are grateful to everyone in the congregation that helps through their prayers and financial donations. Check out our church Facebook Page for photos from the event. Pastor Clark on Cool Cleveland Podcast! 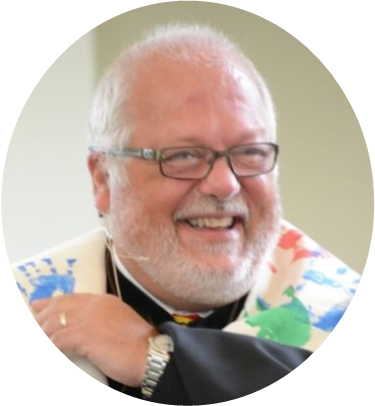 "This week, feed your soul with a spiritual episode of the CoolCLE Show with Pastor Clark of Brecksville United Methodist Church. Pastor Clark talks on how we are made in the image of God, destined to create music, poetry, fiction, dance and other works of art. And although our modern art may not resemble or sound like that of the renaissance or medieval works, it can still be influenced by Christian theology and can be held close to people's hearts just as scripture." Listen here! Practice Random Acts of Kindness. Stop by Jenny’s office (on the third floor) Sunday, or anytime this Advent and check out the new Random Acts of Kindness Bulletin Board. Grab an envelope and experience the best way to count down to Christmas EVER! Envelopes are available for both adults and for families with children. This Sunday at 10 am in room 301. In our Advent Study, Adam Hamilton will lead us with video images from Nazareth to Bethlehem in this fascinating look at the birth of Jesus Christ. Using historical information, archaeological findings, and personal reflections, Hamilton illuminates this most amazing moment in history. We follow the footsteps of Mary, Joseph, the shepherds, and others, gaining insight into our own journeys with Christ. Join us as we walk with Mary and Joseph to their joyous destination. Wondering what it's all about? Click here for a preview. 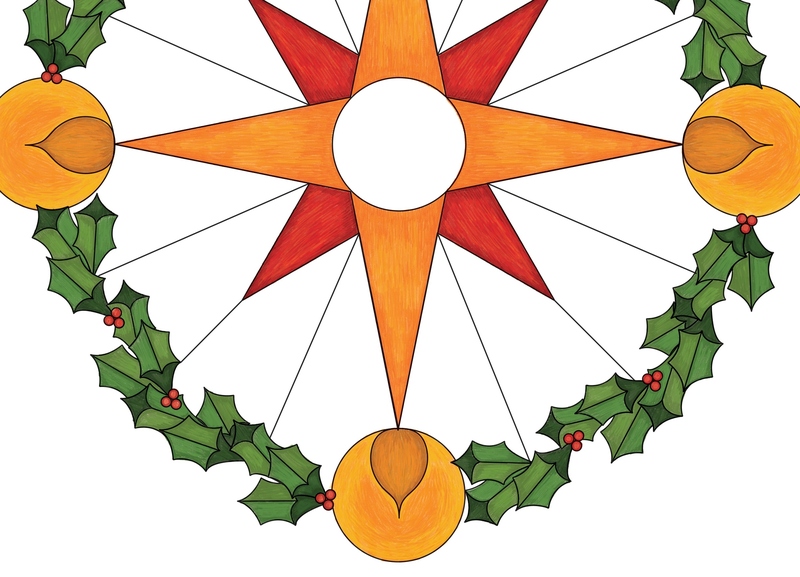 Color Your Advent with Mandalas, Candles and Prayer. Slow down, simplify, and add a burst of color to your Advent this year. Experience contemplative time with friends in this journey through Advent, using the book Mandalas, Candles and Prayer: A Simply Centered Advent by Sharon Seyfarth Garner. Sunday morning at 10 am in the Chapel. Books still available! When joy to the world is hard and you can't seem to hear the angels sing. This celebration of Christmas is for those who are frazzled by the season, and those who have recently experienced loss, hardship or a life change. This service will include communion and will be lead by Rev. Kathy Dickriede. Music on piano and acoustic guitar, with a vocal solo by Megan Roher. Although this service is geared towards children and families, the universal message helps remind us all of the true meaning of Christmas. 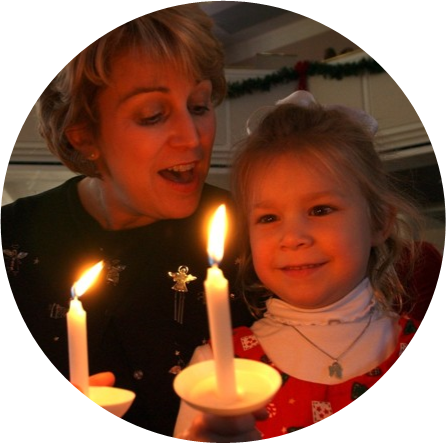 With favorite carols and a reenactment of Mary and Joseph's arrival in Bethlehem, this energetic service engages children of all ages, and closes on a peaceful note with the lighting of candles and the singing of Silent Night. Prefer to celebrate later at a more traditional service? Join us at the Christmas Eve Candlelight Services at 8 pm and 10 pm. These lovely services include a reading of the Christmas story, Pastor Clark's message, time for prayer and reflection, the singing of traditional Christmas hymns, and beautiful music performed by our choir, a string quartet, men's ensemble (8 pm only), and pipe organ (8 pm only). The services close with the light of Christ being passed from person to person as the congregation sings Silent Night followed by Joy to the World as we depart into the world. In need of an escape from the hustle and bustle of the commercial side of Christmas? 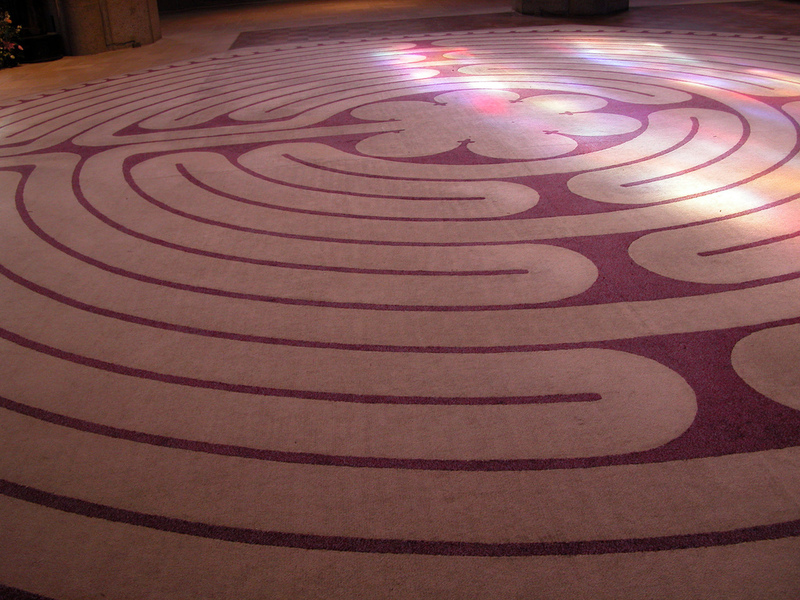 Visit the Labyrinth in Fellowship Hall today through December 28 for a return to center. Your walk is self guided. The building opens at 8:30 (M - F) and will be open this Saturday from 10 am until 7:30. Fill the Christmas Food Tree! We’re collecting non-perishable foods, personal hygiene items and household cleaning supplies for our brothers and sisters in need. Our Food Tree is located in the church lobby this year (on the second floor. )The most needed items include: Canned Fruit, Soup, Cereal, Canned Meats (like tuna and chicken), Peanut Butter and Jelly, Personal Hygiene Items, Household Cleaners, Laundry and Dish Soap, and Paper Towels. Please hold the cranberry sauce, green beans, and corn. Thank you! RECYCLE PAPER = FIGHT HUNGER! Bring your old newspapers, magazines, and (broken down) cardboard to church. THANK YOU for supporting hunger ministry by recycling at Brecksville United Methodist Church! This year to date, we've recycled over 37,223 pounds of paper! Thursday, December 20—Paper Recycling Day. Good Word deadline. 8:30 Labyrinth open in Fellowship Hall all day. 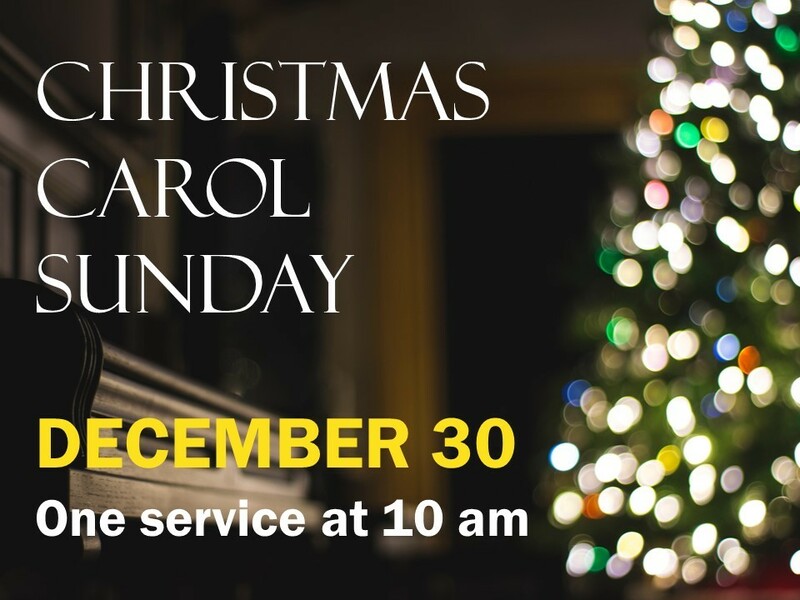 10:00 Christmas Carol Sunday. One Worship Service! 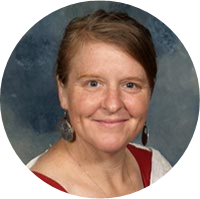 Brecksville United Methodist Church is called to the ministry of reconciliation. We embrace diversity as a gift. We celebrate our human family’s diversity of sexual orientation, gender identity, race, ethnicity, age, faith history, economic status, marital status, physical and mental ability, and education. We affirm that all people are created in the image of God and as beloved children of God, all are worthy of God’s love and grace. We welcome the full inclusion of all people in the life and ministries of Brecksville United Methodist Church as we journey toward reconciliation through Christ. Days will start getting longer. Friday is the shortest day of the year! World's oldest known wild bird lays another egg. Man helps low income kids get home for the holidays. Are you a "good news" spotter? Send your good news headlines to Melanie and we may share them here! Thanks for reading! Be kind to each other - and to yourself!